Estate planning involves the creation of many different documents for avoiding probate in The Woodlands , including living trusts, advanced directives, and powers of attorney. A living trust may be beneficial for managing your assets following death. However, a will may be preferable because it is both simple to create and works well with your power of attorney. In this video, a will attorney outlines what documents you need for creating a trust and which documents you need for creating a will. As he explains, you need financial powers of attorney to allow someone to manage you assets if you become incapacitated. To obtain powers of attorney, you also need to provide your lawyer with medical directives and a HIPAA release. This allows you to list everyone you want to be able to talk to the doctors in the event you become incapacitated. A number of people take a do-it-yourself approach to creating a will and assume they don’t need to consult with a will lawyer in The Woodlands . However, each state has very specific requirements for drafting a will, which must be followed in order for the will to be legally valid. If you do not know what these requirements are, how do you know that you’ve complied with them? Meeting with a will lawyer can help someone ensure transfer of assets, guardianship of children, and other estate decisions are handled properly. Perhaps the biggest reason to hire a professional when drafting a will is to make sure that your will meets Texas’s unique will-drafting requirements. Some lawyers even offer free consultations for the purpose of discussing wills and trusts. If you don’t meet your state’s requirements in drafting a will, then you may lose the opportunity to make decisions regarding the division of your estate and guardianship of your children. Without a proper will upon death, state statutes will dictate the division of your assets between your spouse and children. On the other hand, a will attorney can help you ensure certain assets are given to specific loved ones. Additionally, consulting with an attorney allows you to make an educated choice in determining who will be responsible for your children after your death. Self-created wills can be easy to change and update. Unfortunately, this means that overzealous relatives can take advantage of an elderly family member and convince him or her to alter the will in a particular favor. 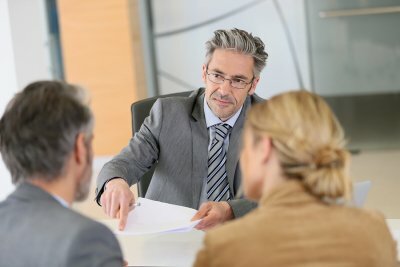 A will lawyer makes sure that clients have the capacity to write and change their wills, which reduces the likelihood of bitter family disputes and lengthy court battles. Drafting a will on your own and failing to do so properly opens your family up to painful legal battles after your death. This means that while do-it-yourself will drafting may be cheaper initially, it also could end up costing your family thousands in subsequent court fees and legal battles. Ensuring your will is drafted properly can also help ensure your family won’t be fighting over property or guardianship issues after you die. What Should You Do if You Need to Update Your Will? Even if you are in good health, from time to time it’s a good idea to consult with a will attorney in The Woodlands about updating your will. Creating a will is one of the most important decisions you can make for your family, as it reduces the likelihood of disputes after you pass, as well as smoothes the transition for your loved ones. 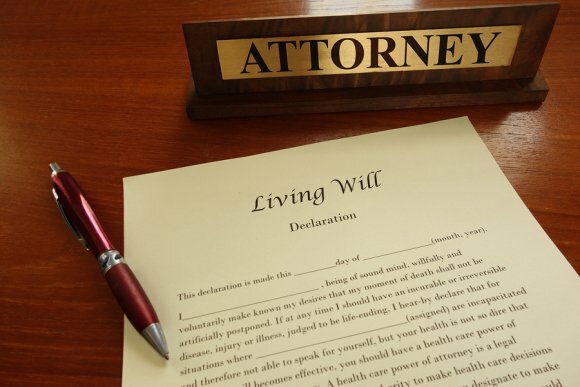 Consequently, you should have a skilled will attorney draft this important document to ensure the terms of your will are properly carried out. 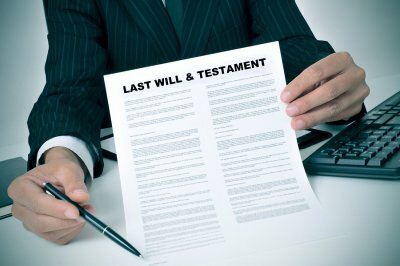 In addition to the need to choose a will attorney, the will itself also need to choose an executor who ensures that its provisions are properly carried out. The executor should be a responsible person whom you can trust. As circumstances often change, accept that you may need to alter the terms of your will down the road. An experienced will lawyer can make sure your present will still reflects your wishes upon passing. Your lawyer can also make sure you avoid any misunderstandings by using proper language in your will. You believe that your do-it-yourself will is clear and concise? Remember this: You will not be there to explain it to the judge. Leaving ambiguous terms in the document could lead to disputes among your heirs or even a failure for the will to be accepted into probate. Will lawyers draft using clear language to ensure life is easier for your beneficiaries. If you’re like most people, the first step in filing for divorce is meeting with a family law attorney in The Woodlands . Though every law firm is different, you should always expect to feel comfortable working with your divorce attorney. To ensure your attorney will help you feel comfortable, there are certain factors to look for in your first meeting with a potential divorce lawyer. Before you actually hire a particular attorney, you need to make sure that person has handled cases like yours before. However, you shouldn’t wait until your initial consultation to gauge his or her experience. Before you schedule a meeting, look for reviews online and check to see if the attorney has been the subject of professional misconduct cases before. This information is usually available on your state bar association’s website. You can also gauge your attorney’s experience by finding out how many years he or she has practiced family law. The stage that your divorce case is in dictates what you and your attorney will discuss at that first meeting. For example, your discussions will be very different if your divorce papers have already been filed or you and your spouse have already pledged to use a collaborative divorce process instead of litigation. Either way, your divorce lawyer should be able to answer any general questions about an impending or recently filed divorce case. He or she should also be able to describe the next steps to take as your case progresses. No matter what you discuss with your divorce attorney, he or she is bound by attorney-client privilege. As a result, with very few exceptions, the information you discuss at your initial meeting should stay confidential. This is true even if you aren’t sure whether you want a divorce and only scheduled the meeting to gather information about the process. Your right to privacy is critical when it comes to communications between you and your attorney. As a result, you don’t have to worry that your spouse is going to discover what you said to your lawyer.